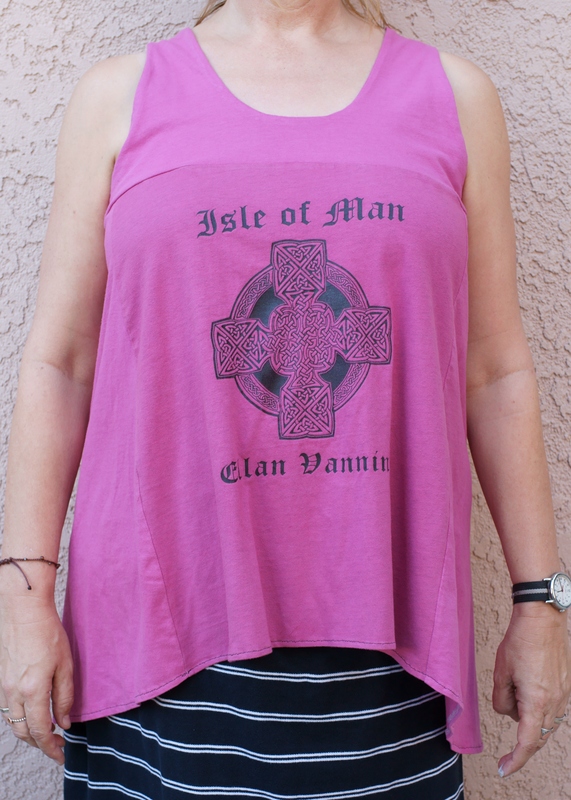 Just got a freebie tank passed on from my friend, and I really like the flared shape and slight racerback cut, so decided to make a version using old T-shirts. My teenage son went through all his clothes and filled a large bag for Goodwill. Of course, the bag didn’t make it from the house to the car, without me taking a quick peek. 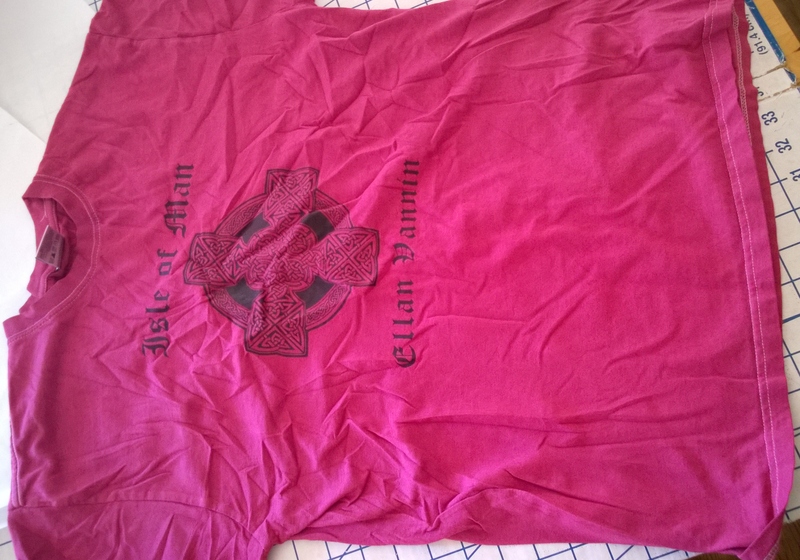 I pulled out a grey T-shirt with a Celtic motif, and three new white Hanes shirts (I think he kept wearing the same 3 from a 6 pack). Also pulled out a striped polo shirt, but didn’t include that in the equation, because that will be the next project. Found a bottle of liquid Rit on the shelf and decided to go for it. Well, the deep Cabernet color I was expecting turned out to be cerise (a surprise, but still OK). 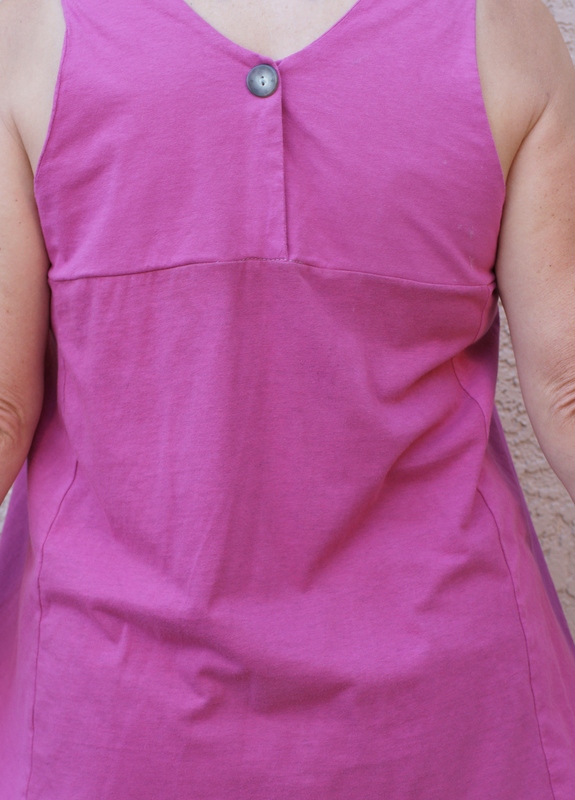 I cut the side panels on the fold (no need for side seams), and two sets of front and back yokes from the Hanes shirts, so that I could just sew them double and not worry about finishing the neckline and armholes. 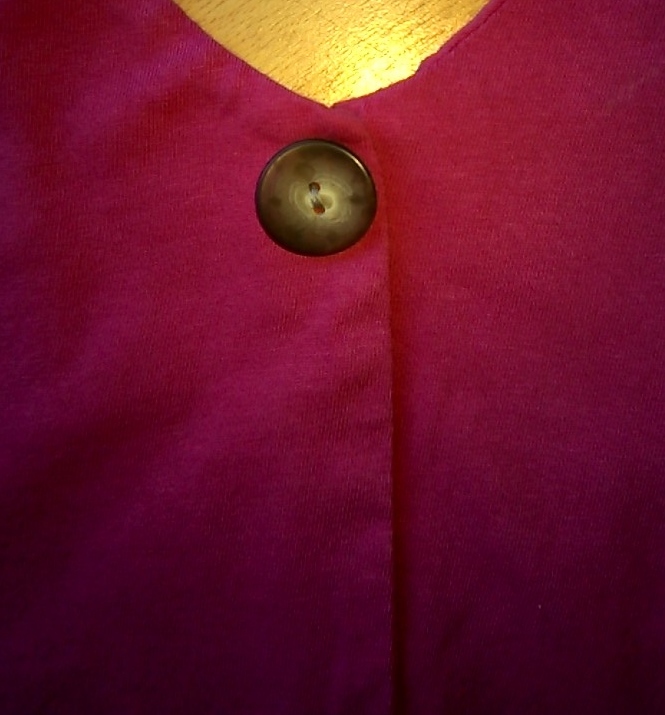 I couldn’t get the back yokes in one piece, so decided to do a button detail. 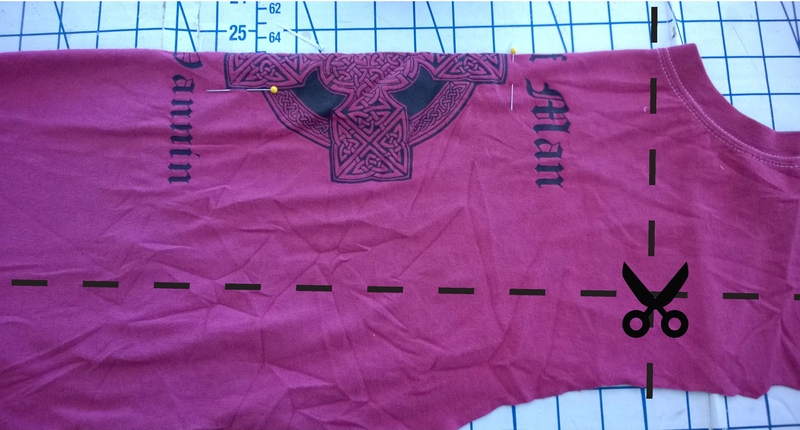 I wish the motif placement had allowed me to get a better seam position (not really flattering), and it would probably be a little better in a lightweight jersey, but I’ll wear it. Posted in Uncategorized and tagged Hanes shirts. Bookmark the permalink.